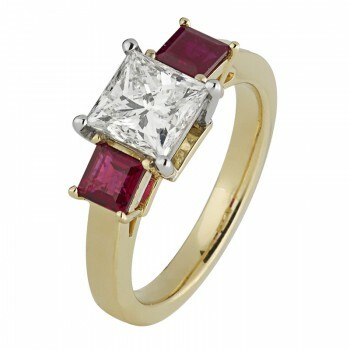 18ct yellow gold engagement ring featuring a 1.1ct Princess cut diamond with two 0.35ct square rubies in four claw setting. Also available in Platinum and white gold, and with your choice of diamonds or coloured gemstones. 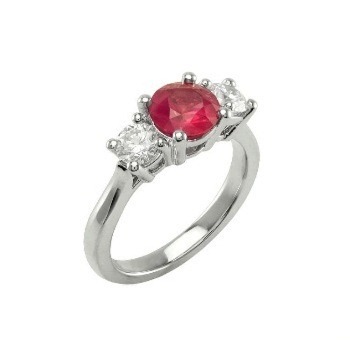 This ladies ring can be worn as an engagement ring or dress ring. The price excludes the gemstones. For prices of loose diamonds and coloured gemstones, please contact us. Matching fitted wedding ring also available.